Sometimes a polish collection takes me by surprise when it feels like every other blogger out there knew about it months earlier than I did... 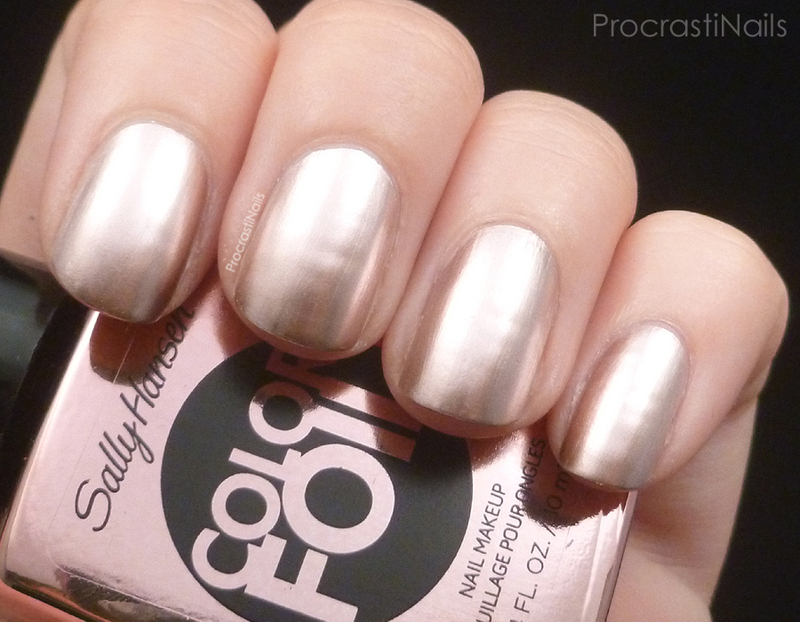 The Sally Hansen Color Foil polishes were one of those collections. Silence, then BOOM everyone is talking about them, and then suddenly they're completely gone again. The polish world is a strange, strange place sometimes. 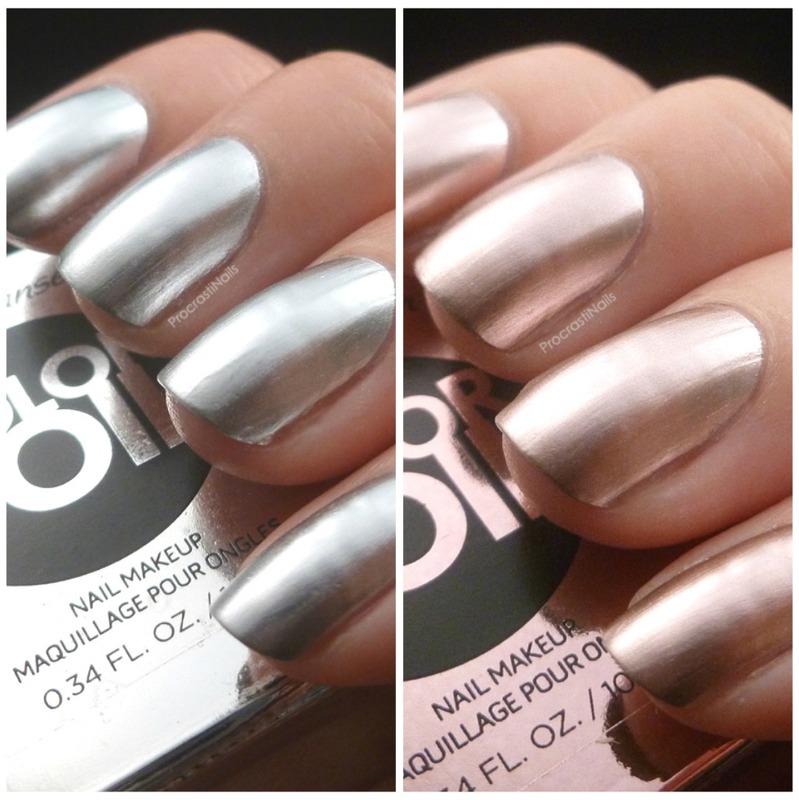 The only other chrome I own right now is OPI Push & Shove (and an old school gold Sally Hansen that I've misplaced) so when I saw these at my local pharmacy I decided to grab two of them up - Sterling Silver (so I could compare it to Push & Shove) and Rose Copper. Let's take a better look! Availability: Rexall, Shoppers, Walmart, Target, etc. This polish went on really easily with two coats, though just like my OPI chrome it started showing wear by the end of the day. It dried really fast, and I like that I didn't have to use a base or top coat with it. You do have to be careful if you have ridges in your nails though as they will show through if you don't buff them down. I don't know yet if I like it more or less than Push & Shove (that's a topic for another post!) but if I didn't have Push & Shove already I would definitely want to pick this one up. Pictured is two coats without top or base, and everything I said about the wear and application for Sterling Silver applies here as well. I think both these polishes are super fun, and super lovely. 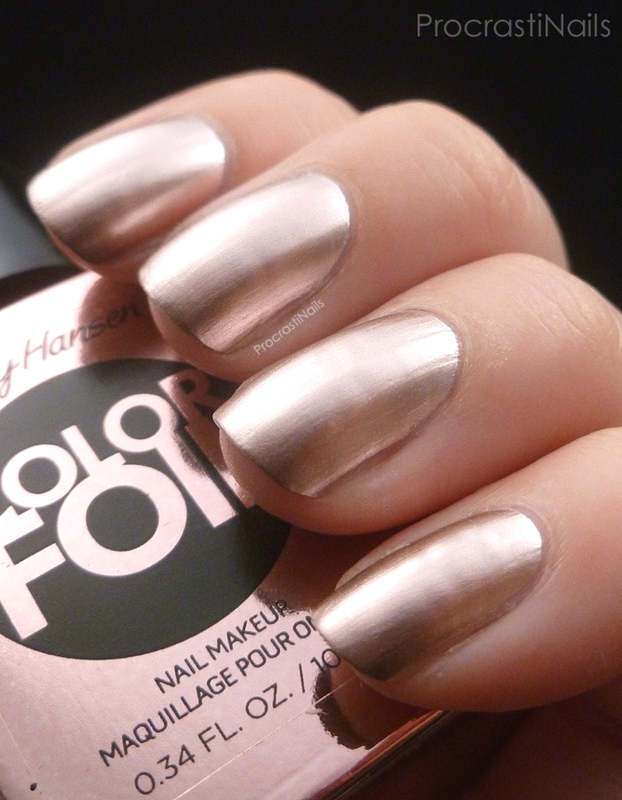 I can already picture using Rose Copper as the base for an antique rose design. 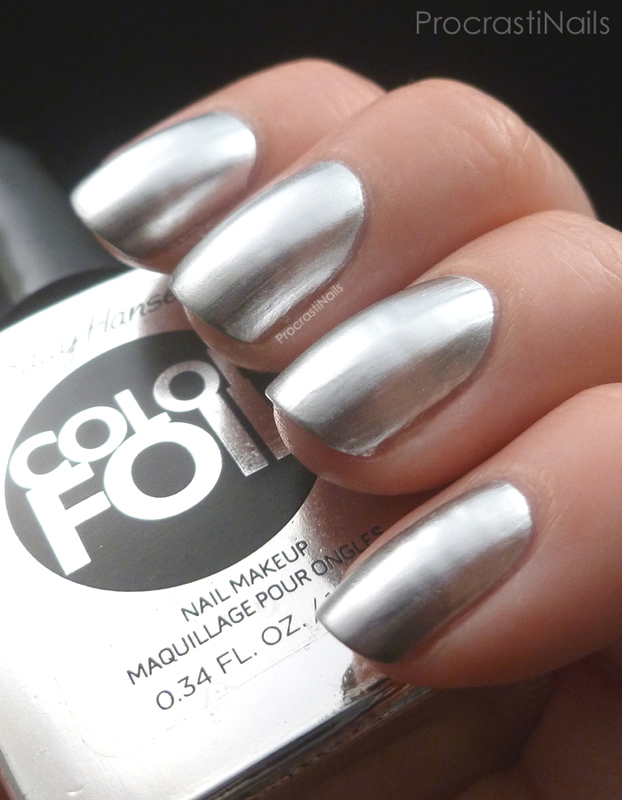 And as you have probably guessed I'm already working on a dupe test for Sterling Silver and OPI Push & Shove. Let me know what you think, and let me know if you picked any of these up for yourself! I'd love to hear from you. 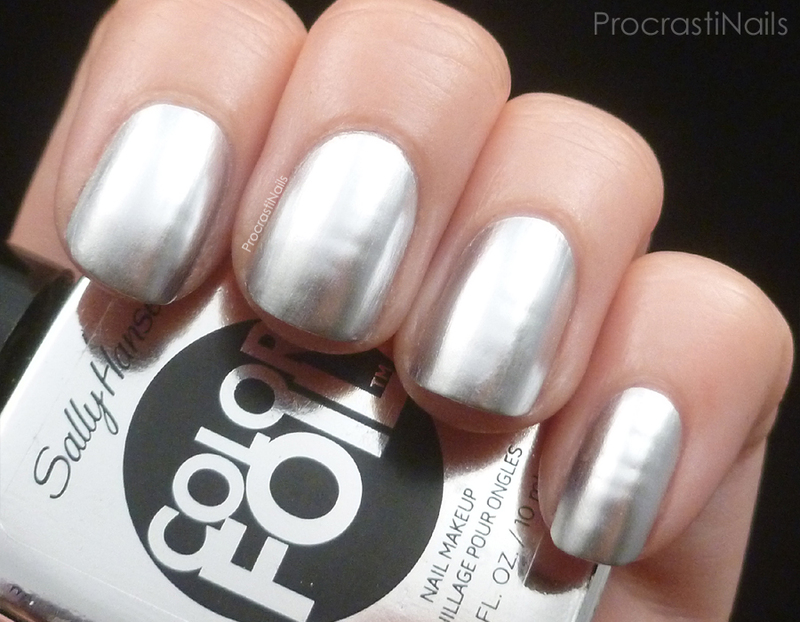 There really nice foils! I want the whole collection because I've seen and heard that there really good for stamping. They both look soooo pretty! !